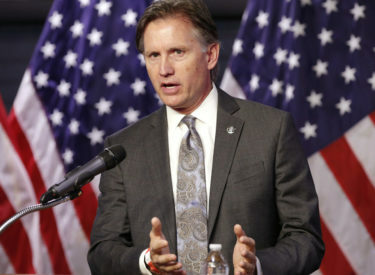 OKLAHOMA CITY – Attorney General Mike Hunter on Wednesday announced the Oklahoma Commission on Opioid Abuse will continue its work studying the state’s opioid overdose and addiction epidemic when it reconvenes for the first time this year on Thursday. In addition to discussing more ways to address the ongoing opioid crisis, the commission will welcome two new legislative members in Sen. Roger Thompson, R-Okemah, and Rep. Chris Kannady, R-Oklahoma City. They are replacing Sen. AJ Griffin and Rep. Tim Downing, who didn’t seek reelection to their seats last year. The meeting will be held in room 206 at the Oklahoma State Capitol at 9:30 a.m. Thursday. Hunter said while the commission made great strides last year, more work is needed. Formed in April 2017, the Oklahoma Commission on Opioid Abuse has brought all stakeholders to the table, including doctors, law enforcement officials, treatment and addiction specialists, local business leaders and members of the state legislature to study the state’s epidemic. At the commission’s first set of meetings last year, members heard from local and national experts, while studying and evaluating the scope of the epidemic. During the 2018 legislative session, the commission saw all seven pieces of recommended legislation signed into law. The new laws provide more tools for law enforcement, will help prevent future addicts by limiting initial prescriptions for patients with acute pain, prevent the diversion of opioid prescriptions from flooding the market and hold distributors, manufacturers and businesses accountable through proper oversight.